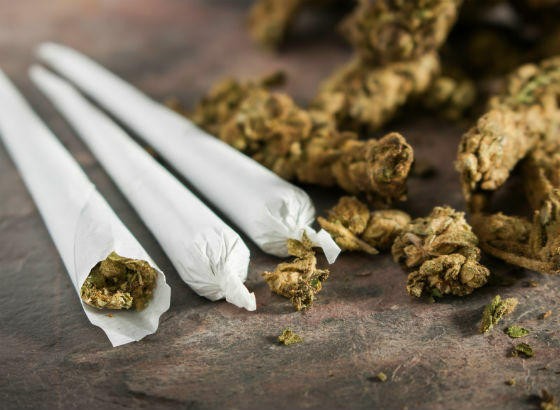 A research team from the UK and Canada have found ‘robust evidence’ that teen cannabis use increases the risk of depression in young adulthood. The researchers from Oxford University and Montreal’s McGill University concluded there is a 37% greater chance of developing depression before the age of 35 when people have used cannabis before 18. The team analysed 11 studies, involving a total of 23,000 people, which looked at their drug use and mental health from when they started using cannabis until the aged of 34. Their findings suggest that 60,000 cases of depression in young adulthood in the UK are connected to teen cannabis use. That’s 1 in 14 cases of depression in 18 to 34-year-olds. 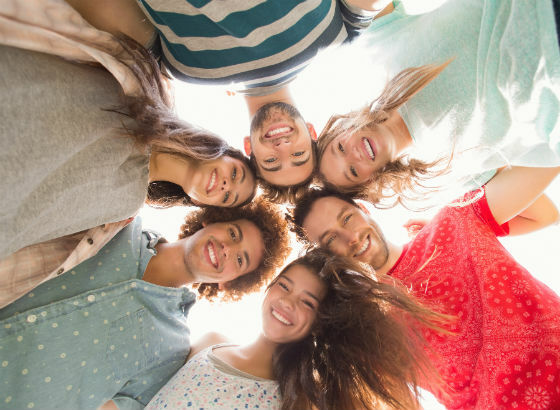 Published in November 2017, the most recent survey of Smoking, Drinking and Drug Use among Young People (2016) showed that cannabis was the most commonly used drug among 11 to 15-year-olds. 7.9% had used it in the previous year. According to the Home Office Crime Survey 2017-18, this percentage more than doubles, when people reach their late teens and early twenties. The survey found that cannabis was the most widely used drug amongst aged 16 to 24-year-olds. 16.7% had used it in the previous year (around one million young adults). Public Health England data shows that 10,666 individuals aged 18 to 24 started treatment for addiction in 2017-18. Of these people, the majority had problems with cannabis (5,791 or 54%). THC (tetrahydrocannabinol) is the psychoactive ingredient in cannabis. THC quantities vary in recreational cannabis, depending on the type of cannabis plant. In recent years, hybrid strains have been developed with elevated THC levels, increasing the drug’s mind-altering effects. Today, the strength of street cannabis means that teen cannabis use carries a greater risk of adverse side effects. This includes the possibility of getting addicted. Psychological dependence on cannabis can develop in regular users, where life can feel painful or meaningless when not using the drug. If you’re feeling agitated or low, and cannabis often feels like the solution to your unease, this is often a sign of addiction. Physical withdrawal symptoms from cannabis, although unlikely to be life-threatening, can still be very unpleasant. They can include insomnia, sweating, fatigue, changes in appetite and headaches. If you’re using more cannabis to escape these uncomfortable symptoms, then it’s easy to become hooked. Teen Cannabis Use – What Should Parents and Carers Look Out For? Experimenting with drugs including cannabis will always appeal to some teenagers. However, the statistics show that in any given year, the majority of teenagers aren’t using cannabis at all. There could be many other explanations for a change in a young person’s behaviour, so it’s important to keep an open mind – especially if you have no reason to suspect your teen is using cannabis. Of the teenagers who do try cannabis, some will not enjoy the mental and physical effects. Even one or two bad experiences with cannabis will be enough to put many people off from using it again. Then there are young people who try cannabis and enjoy the effects. Most will not develop a regular habit, nor will they be seriously harmed or get addicted. They may enjoy some experiences but feel ill or uncomfortable at other times. Using very strong cannabis will lead to more extreme reactions, for example – so a teen who enjoys mild cannabis might feel sick or distressed by more potent strains. There are no real risks of physically overdosing on cannabis, however. The main risk to physical health is from accidents after using the drug. Young people who go on to use cannabis regularly may soon show signs of dependence. Behaviour changes to look out for include lack or complete loss of interest in everyday life – such as school, college, employment or family activities. As cannabis addiction takes hold, some relationships may suffer, while other friendships are prioritised. Addicts tend to spend time with people who also use the drug(s) they take, including people who know where to get drugs or sell them. Driving after using cannabis is illegal. If your son or daughter drives a car or rides a motorbike, then it’s important they understand the law around drug driving. In the UK, there is a zero-tolerance approach to driving under the influence of cannabis. There’s a very low limit for cannabis (2 microgrammes of delta-9-tetrahydrocannabinol per litre of blood). The Government set this level so that all claims of accidental exposure can be ruled out. You can be fined, lose your license or even get a custodial sentence for driving after taking cannabis. The penalty for causing death by dangerous driving under the influence of drugs is up to 14 years in prison. In terms of mental health, cannabis abuse can lead to psychological harms, including paranoia, hallucinations, depression or more rarely, schizophrenia. If your son or daughter is showing signs of mental ill health, please get help straight away. Contact your GP, call the Addiction Helper team and search online for local addiction support groups. It’s never too soon to find out about addiction treatment and support if you suspect that your child is mentally unwell. Typically, the longer an addiction goes on, the greater the consequences. As a parent or carer, you may be completely aware that your son or daughter is seriously affected by cannabis. But what do you do if they are unwilling to listen to your concerns? In some cases, an addiction intervention can be effective. This is a therapeutic process, where a skilled addictions professional meets with your family, in order to encourage your loved one to get help. Interventions can be very successful if handled correctly by a qualified counsellor. Finally, if your son or daughter asks you for help with cannabis addiction, then please be reassured that there are excellent treatment options with fast admission. Counselling, outpatient programmes, quasi-residential rehab and residential rehab with aftercare programmes are available in the UK and abroad. For help with teen cannabis use, please message or call Addiction Helper. Our phone lines are open 24 hours a day. If we cannot take your call immediately, please leave your contact details and we will get back to you as soon as possible.